Accountants, you’ve worked hard this season. 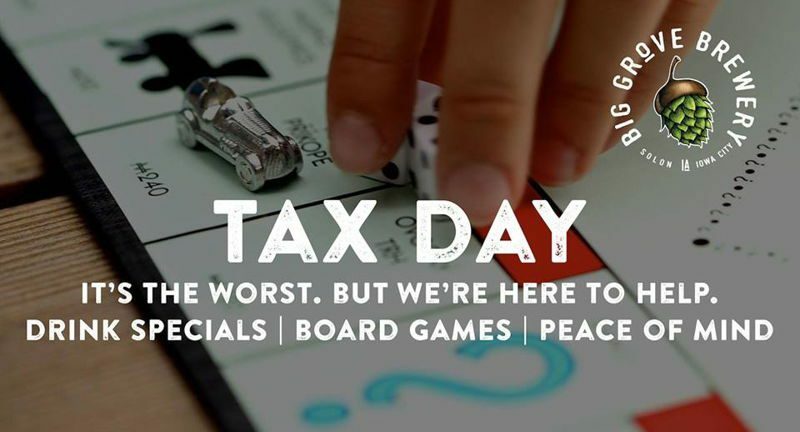 How much can you really get done after Noon on Tax Day? Take the afternoon off and treat yourself to some Big Grove beers. And we’ll have some board games available to play and help you unwind. We encourage you to bring your own games to play, too!